Saiki is a character who debuts in KOFXIII as the initial boss character. This is the playable non-boss version of Saiki whom will become readily playable based on the players progression on arcade mode on console/PC versions of KOFXIII. Although, Saiki resembles Ash in a lot of ways, his overall game plan is very different. Unlike Ash Crimson, he is a motion character. Saiki is considered a zoning character who is also relatively versatile, having quite a few anti-airs at his disposal for keeping the opponent from jumping in on him at different spacing. Saiki also has a lot of tools that can be used for multiple situations outside of fundamentals, such as baiting reversals with his jumping B (changes the trajectory of his jump), punishment, getting out of pressure, keep-away and more. Another thing to note about Saiki is that most of his combos are relatively simple and has extremely high damage output in the corner. Saiki has one of the best fire balls in the game (qcf+A) to zone around with. If the player is careful and has a great idea of how the "KOF" fundamentals work, the player can dominate in a match with Saiki thanks to how his move set and game play is set up. s.A: 25 damage, cancel-able, hits mid. Your typical stand jab. Nothing special, half decent against hop in attempts which it will be used mainly for, but other than that, not that great. Whiffs on crouchers as well. s.B: 30 damage, cancel-able, hits low. Not a terrible move. Decently quick, and it does hit low from a standing position which can be tricky for some to deal with especially after hop in pressure. Range is bad though. Use it every so often to keep your opponent honest while you're standing. s.C: 70 damage, cancel-able, hits mid. For the time being, the main go to when canceling into Saiki's specials. Also a somewhat solid reactionary anti-air, made better by being Special cancel-able. s.D: 70 damage, cancel-able, hits low. A very solid move, a hard hitting move from standing that cancels into anything and hits low? Pretty nice. Be warned however, it has one weakness. Where both versions of st.C are cancel-able in which you do not have to worry as much about distance as both will cancel, far.D is NOT cancel-able which means if you're off on your distance and you get far.D, you don't get anything afterwards. Be careful about that. Of course, if it's to go into HD mode, you can HD far.D as well so it doesn't matter as much. far C: 70 damage, cancel-able, hits mid. One of Saiki's better far standing pokes. Being cancel-able makes it all the better and it's good enough to cancel into HD mode from. It can be a slight bit slow, but it's not a terrible deal. Also, keep noted, Saiki does move forward a bit while performing the move. Now, if he finishes it without canceling into anything, he returns to his previous position. 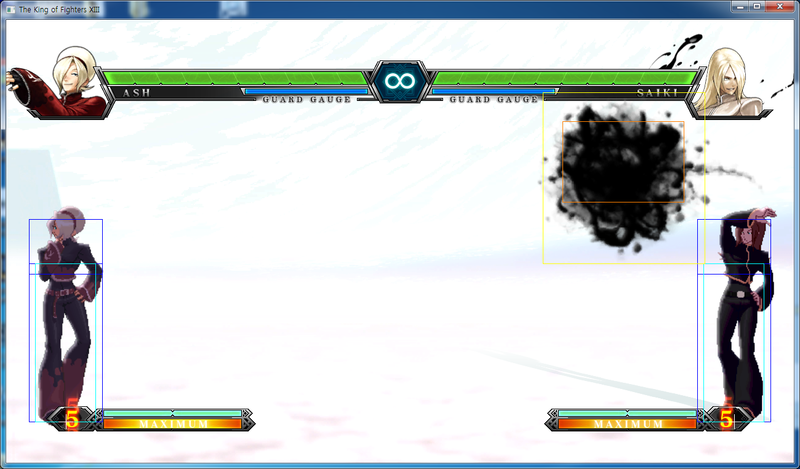 However, if you whiff cancel it during active frames, Saiki stays forward. Not a bad way to sneak up your positioning. far D: 80 damage, hits mid. Very good poke for Saiki. Great range, moves him forward and during active frames you can actually hop over some characters d.Bs which is very very nice indeed. Good poke to use to keep the pressure on. It's not cancel-able by anything other than HD mode though, so it's something to keep in mind, however getting that long poke into HD if you can predict your opponent's patterns can be a great tool. d. A: 25 damage, cancel-able, hits mid. Mediocre range, hits mid, doesn't combo into anything that c.B doesn't. But it honestly doesn't really do anything of note that is special. Beating hop-ins is what s.A does and does it better. d. B: 30 damage, cancel-able, hits low. Good range (though deceptive, it does not go as far as his foot does, but it still has good range), and cancel-able, and it hits low obviously. However...d.B only can combo into QCB+B and his DPs and QCF+AC. Still solid, but you won't be getting his best stuff off it that often outside of burning meter. However still a great poke to use. d. C: 70 damage, cancel-able, hits mid. Nice solid move too, mostly used for anti-airs however. It's a bit slow, so it's best saved for either knowing a hop is coming, or reacting to slower jumps. Being cancel-able helps apply meaty pressure if you AA-d at the right distance. All in all, not a bad move, but maybe not the go-to one you need, but Saiki's advantage is that he has a lot of normals to do different things, and this has its own niche. d. D: 80 damage, whiff/cancel-able, hits low. Saiki's sweep, and it's a solid enough sweep. Solid range, and you can cancel into Specials to keep safe. It also moves him forward, but unlike his far C, he maintains his forward position with or without the cancel so keep that in mind. j. A: 40 (45) damage, hits overhead. Surprisingly a decent hop in move. A good downward angle and it's cancel-able into his air command normals giving you a better confirm off of it, but only off of jumps and not hops. Good to use it to mix things up since Saiki has good all around air normals. Probably your go-to vertical hop in move. j. B: 40 (45) damage, hits overhead. Probably your best air to air move, and it's still not a terrible way to jump in. 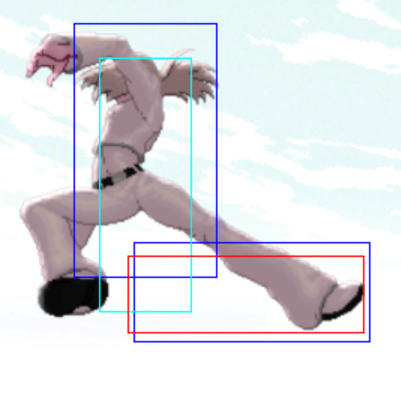 Has an amazing horizontal hitbox which, unlike his c.B, goes as far as the foot goes. It can win a lot of air to air battles especially if done early. It can also crossup standing opponents but it's a bit hard to combo after. Be forewarned, this thing does misses on crouchers as Saiki hits the ground before he hits the opponent. This can be bad AND good in a sense. Bad because...we just missed, but it can be used for tricky high-low setups if your opponent gets antsy and goes to block high late. j. D: 68 (70) damage, hits overhead. Probably your go to Aerial Normal. It's certainly the best one you have for jumping in. It has a good hitbox in both the vertical and horizontal which means jumping in from farther out isn't much of a problem and it can win its share of air to airs (though again, j.B is a lot safer to go with). And it's a solid hop normal too. Only downside is that you can't do it as late as some of his other normals while hopping, which is remedied by using j.A when you wanna do a hop normal late. All and all, great move. CD: 75 damage, whiff/cancel-able, hits mid. Saiki's Standing Blowback. You probably won't be using this move too much outside of Guard Cancels, it's a decent move though. It's a bit telegraphed however. Best used to whiff cancel forward like far C since it goes the furthest distance of the three normals. j. CD: 80 damage, cancel-able, hits mid. A very tricky jumping blowback. It's not unlike his standing one in terms of animation, but you're more likely to use this one raw. It has a tricky hitbox which can do some nasty crossups if the opponent isn't careful. It can seem like Saiki's already past you and won't do anything then BOOM, you just got hit by a j.CD and it has this weird vortex where the opponent goes where Saiki was arcing. So if you hit them from behind, they'll go the way you're jumping and right past you. So you can't use this to put people back in the corner if your back is to it but you can get someone coming out of it. It's also cancel-able so that helps a bit as well. GCCD: 10 damage, hits mid. In (in air) = b+B 50 damage, hits mid. Hatsu (in air) = f+B 50 damage, hits mid. Saiki's only command normals, and they happen to be in the air. They can both be done out of back dash. They're decent, they do change his trajectory in the air, so say you start your super jump and you see something you don't like, immediately j.4B to hit the brakes. On the other hand, you jump and see you just don't got the distance, use j.6B to give yourself that extra little push. The hitbox isn't great at times, and you can whiff (but unlike j.B, it can hit crouchers because they halt Saiki's momentum before touching the ground so it will stay active) depending on where you are. Also...it has one bad downside. Unlike all his other air normals where you can do a normal immediately after touching the ground, you have some recovery off of these moves and it's not instant, meaning it's a lot more of a pain to combo off of these normals which means you have to hit it deep and low and still hope. It has more use as a movement option. Saiki's Fireball and what allows him to dictate the pace of a match. His A version is different than others, in the way that normally characters that have a Fireball have a slow and fast version and whatnot, Saiki only has the A version as the traditional fireball, so it runs at a speed that's inbetween. Slow enough to run behind if done far enough away, but fast enough where it's hard to use for meaty pressure. Still a solid fireball with a very good hitbox. His C version is his anti-air, use it to catch people jumping in too often expecting a fireball. They run into one of these, they stop getting too hoppy. This is also used in a lot of his juggle and HD combos. The EX version can be comboed from lights and can start a juggle, however it can be a bit of a pain to follow up mid-screen. As of now, you won't see it being used too much as his meter is better spent on other avenues. Hanetsurube no Nata = (dp+k) - Both versions are relatively the same. Both have basic Somersault/Flash Kick animations, the D Version goes a bit farther and has two hits. D Version also has followups. (EX) = dp+B+D: Seems to have faster startup than the two normal versions and around the same range as the D Version. It also hits multiple times and has followups as well. Kazahazushi no Tsuchi = (hold A/B/C/D) during D version or EX: during D version or EX-Does a teleport followup that switches positions (unless directly in the corner) and the follow up is either a Blowback, or a barrage depending if you used the D or EX DP. This is Saiki's DP, and a solid one at that. While it doesn't seem to have the overwhelming invincibility of some other DP's (Kyo's for example), it makes up for it in utility. A successful followup after his D or EX version will switch positions, making it perfect for putting opponents into the corner if they're getting greedy on you. It also has some deceptive range so it does well for putting opponents on guard. When following up, it's best to hold D, for two reasons. One, you're already holding it for your D or EX DP, so it saves time. And two, if you hold in say a punch button, and you do it too early it will end up Drive Canceling into his FBs, which isn't a bad thing when you actually want to, but you don't want to accidentally cost yourself 50% Drive for a stupid mistake. 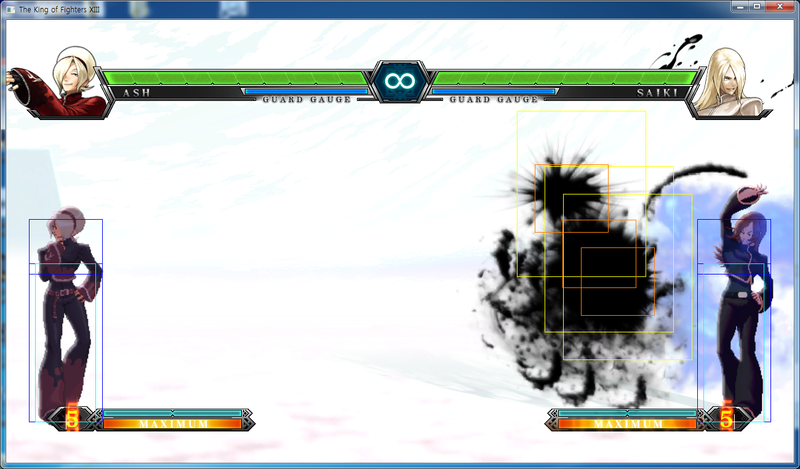 Hiori no Kusabi = (qcb+K) - Both versions have Saiki doing a Donkey Kick (think 3S/MvC3 Ryu). B Version is much faster than D version, but D allows for a teleport afterwards. (EX) = qcb+B+D - EX version is slightly faster than D it seems, and also causes a Wall bounce (critical-wire) along with the same teleports afterwards. Ura Shichiri = (hold A/B/C/D) during D version or EX: during D version or EX-The Teleport after the kick, the teleport varies based on the button pushed. They end up in the same spots as the raw teleports do, so use that to know which followup does which. Saiki's Donkey Kick, a relatively decent move. B Version is one of the few things Saiki can actually combo into from his d.Bs making it a quick and easy 2-1 or hit confirm to push the opponent, however it doesn't do more than that. His D version is nice because it allows for a Teleport however it only combos from his Heavies or certain juggles. Best ones to use are C and D. C is best used midscreen to follow your opponent and nail him with a DP, be forewarned. Depending on the distance you hit the Donkey Kick, you might switch sides with your opponent forcing you to flip your inputs for your DP. Be VERY cautious about that. D Teleport is best in the corner, as you follow your opponent in the air, you can hit him with a j.4B and a followup DP or Super on the ground afterwards. His EX has most of the same advantages and disadvantages as the D version, except you do not want to use this in the corner unless you like switching positions. Again, his meter would be better served on other things like his DMs or his EX DP. Saiki's basic Teleport. Goes 4 positions. A version makes Saiki travel a bit backwards. B Version sends Saiki a bit forward. C Version sends Saiki about a half screen forward. D Version sends Saiki a bit forward and puts him in the air at jump height. They have a lot of lag time towards them, are a bit telegraphed (even worse off because you can't attack right away out of them) and they're not that invincible. Use VERY sparingly if at all. Saiki's main go to DM to end his combos if not in general. It starts up pretty quick making it even an effective anti-air. Does solid enough damage and can keynote a lot of combos. It does switch positions so keep that in mind when performing this in the corner. It's also Max Cancel-able on the stomp, so go there to bookend your HD combos with authority. Yami Otoshi = (qcfx2+K) in the air: While Saiki is in the air and performs this, he teleports to the top of the screen and immediately comes straight down with a stomp. If it connects, Saiki teleports down, rubs the opponent's face in the ground with his foot and then gives him a swift kick to the face. 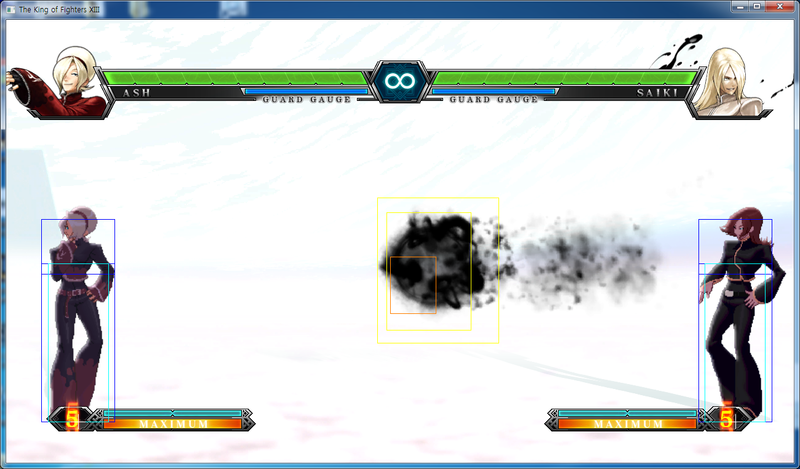 Saiki's air DM, you won't see it that often, and it's not that great. It's an overhead which is nice, but it's pretty telegraphed. It also does less damage than the last DM, and it's more annoying to land. It's also max cancel-able on the last hit. Best use for it is to finish off an HD combo in the corner if you're not 100% sure that it will kill, that way at the end of it you keep corner position. Tokoyami no Fune = (qcfx2+P): Saiki waves his hand twice and releases a Fireball that looks like his A version but hits 13 times, and the further it goes, the slower it becomes before fizzling out at full screen. This is Saiki's trickiest DM and has the most potential. When released, it's on the screen for a while becoming very slow, and whether it hits or is blocked, it does 13 hits. It can screw up opponent's jumping and rolling patterns, and god forbid if it touches them while grounded. If it does, it keeps them there for a while hit or blocked giving you ample time to get in their face. If it hit, you can combo after it, if blocked, you get a safe high/low of your choice. This thing can be very deadly but be careful. Don't do it in your opponent's face, it does not have that much of a hitbox in Saiki's immediate vicinity when released so you'll die...hard. Don't use it too often or your opponent will get wise as well. This thing is also good for juggle combos after mid air DPs so keep it in mind. Saiki's Command Grab DM. Not the greatest on damage, but it helps his options up close and it gives you some vitality back which is pretty sweet. Use it every so often when you find an opening to keep your opponent honest. Kasumi = qcb~hcf+A+C: Saiki transforms into his Boss Form and fills the screen with painful dark energy. Saiki's NeoMax. You're likely not gonna be using this raw but this thing will be on the end of all your HD combos, meter permitting. It can also combo after every single one of his DMs (Most of them Max Canceled, but his FB one has to be juggled) making him a little more versatile within his HD combos. combos that have qcb + D HOLD D, air b+B, as the first special of the combo can be replaced with qcb + D HOLD C, if you are a few steps away from the corner. Teleporting with C will carry you to the corner, once there you can continue juggling as you see fit. all combos that start with cr. B’s can be replaced with hop D, cl. C or ATC, cl. 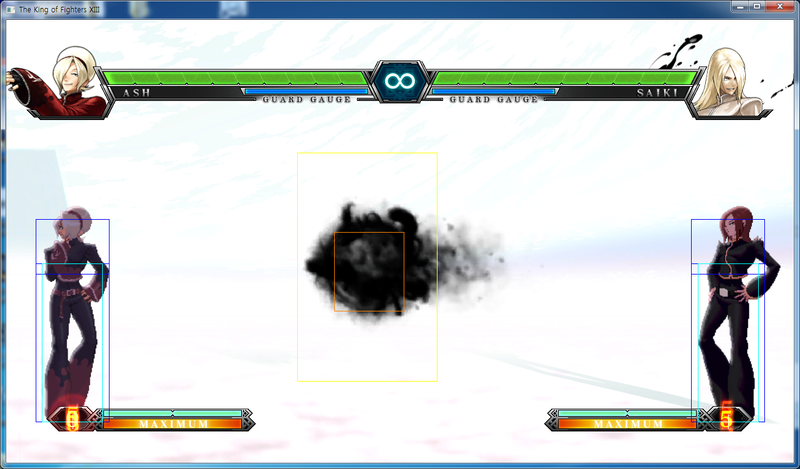 C.
all of Saiki’s teleports can be DC’ed on hit and HDC’ed in HD mode. They do not allow for follow-ups after the teleport, but if your opponent were to be hit with a hard knock down it could serve as a cool mix-up on wake up. So far its pretty useless though. if you are going to be canceling the first hit of his dp’s you should use dp + B because the first hit does more damage. However if you want to drive cancel into his qcb + D you need to use dp + D because it does not send them as high into the air. all meterless combos ending in dp can be ended in dp + BD or qcfx2 + B or D for more damage, at the cost of 1 meter. qcfx2 + A or C scales combos pretty badly. Saiki’s EX special moves do not help in extending his combo when used in the middle, however they make great combo starters. Example, qcf + AC is very difficult to juggle with but when used to start a combo you can link a special move for free after it hits. Since his ex moves do not allow for great juggle opportunities mid combo, he can not really perform combos that burn 4 or 5 meters outside of HD mode. 1.) st. A > cl. C (L) - 1 frame gap between st. A and cl. C. St. A whiffs on crouching opponents, except on Daimon, Raiden, and Maxima when they are in guard position. 2.) st. A > far C - 4 frame gap between st. A and far C. St. A whiffs on crouching opponents, except on Daimon, Raiden, and Maxima when they are in guard position. 3.) st. A > cr. C (L) - 2 frame gap between st. A and cr. C. St. A whiffs on crouching opponents, except on Daimon, Raiden, and Maxima when they are in guard position. 4.) st. A > far D - 4 frame gap between st. A and far D. St. A whiffs on crouching opponents, except on Daimon, Raiden, and Maxima when they are in guard position. 5.) st. A > cl. D (L) - 2 frame gap between st. A and cl. D. St. A whiffs on crouching opponents, except on Daimon, Raiden, and Maxima when they are in guard position. 6.) st. A > cr. D - 4 frame gap between st. A and cr. D. St. A whiffs on crouching opponents, except on Daimon, Raiden, and Maxima when they are in guard position. 7.) cr. A > cl. C (L) - 1 frame gap between cr. A and cl. C. 8.) cr. A > far C - 4 frame gap between cr. A and far C. 9.) cr. A > cr. C (L) - 2 frame gap between cr. A and cr. C. 10.) cr. A > cl. D (L) - 2 frame gap between cr. A and cl. D. 11.) cr. A > far D - 4 frame gap between cr. A and far D. 12.) cr. A > cr. D - 4 frame gap between cr. A and cr. D. 13.) st. B > st. A - 2 frame gap between st. B and st. A. St. A whiffs on crouching opponents, except on Daimon, Raiden, and Maxima when they are in guard position. 14.) st. B > st. B - 4 frame gap between st. B and st. B. 15.) st. B > cl. C - 3 frame gap between st. B and cl. C. 16.) st. B > cr. C - 4 frame gap between st. B and cr. C. 17.) st. B > cl. D - 4 frame gap between st. B and cl. D. 18.) cr. B > cl. C - 3 frame gap between cr. B and cl. C. 19.) qcf+AC > st. A - -5 frame gap between qcf+AC and st. A. St. A whiffs on crouching opponents, except on Daimon, Raiden, and Maxima when they are in guard position. 20.) qcf+AC > cr. A - -5 frame gap between qcf+AC and cr. A. 21.) qcf+AC > st. B - -4 frame gap between qcf+AC and st. B. 22.) qcf+AC > cr. B - -4 frame gap between qcf+AC and cr. B. 23.) qcf+AC > far C - -2 frame gap between qcf+AC and far C. 24.) qcf+AC > cl. C - -5 frame gap between qcf+AC and cl. C. 25.) qcf+AC > cr. C - -2 frame gap between qcf+AC and cr. C. 26.) qcf+AC > far D - -2 frame gap between qcf+AC and far D. 27.) qcf+AC > cl. D - -4 frame gap between qcf+AC and cl. D. 28.) qcf+AC > cr. D - -2 frame gap between qcf+AC and cr. D. 29.) qcf+AC > st. CD - 1 frame gap between qcf+AC and st. CD. One of the best zoners in the game besides Athena and Joe. Seriously. The best projectile in the game: The Kiyoku no Tsuki projectile (the A version) travels at a medium speed so it is possible for Saiki to conduct a follow up after the projectile should he have a enough time... Saiki has a lot anti-air options as well. The C version of his Kiyoku can be treated as a anti-air, his DP, his Washiba Otoshi DM, and his cr.C. Saiki's D version DP has a follow-up. At three stocks and some drive meter, Saiki can batter the opponent violently thanks zoning and his teleport. Saiki can also apply some serious corner pressure (He has a air-target combo which is j.A > f.B) Saiki's B Donkey Kick is quick but the D version allow him to teleport without the use of meter. A meter-less combo's for Saiki would be like cr. B, cr. B, cr. B > qcb + B or Hop D, cl. C or D > qcb + D HOLD C > dp + B... A good meter-less corner combo for about 336 damage would be to start off with the air target combo (j.A > f.B) then press cl. C > qcb + D HOLD D, air b+B (land) dp + D HOLD D. This way you can catch your opponent off guard and build meter while conducting some good damage - part of the reason why he should be high tier. Saiki would probably fit best in this position. For the same reasons mentioned above. You notice that Saiki has very good DM's, all of which can serve a specific purpose: Washiba Otoshi is a anti-air. Yami Otoshi is a air DM that can follow the opponent and goomba-stomp them. Saiki also has a projectile DM (that does not seem to let the opponent guard cancel until the very last hit because the hits registers so quickly while the opponent guards the move). Last, Saiki has another DM which is a command grab. Saiki also has a decent Neo Max, but it would not be a good idea to use it by itself and use it in a combo instead. It is possible to do over 1000 damage with his HD combo, the second reason why he is noteworthy in this game. For three meters, you can do this for 1006 j.D, s.D, (HD) s.D, qcb+D~C, dp+B, (HDC), qcf+C, qcb+D~D, air b+B, qcb+B, (HDC) qcf+C, qcb+D~D, air b+B, dp+B, (HDC) qcf+C, qcb+D~D, air qcf~qcf+B, (HDC) Neomax (THIS IS A CORNER COMBO EXAMPLE). For one stock Saiki can do a hopping D into cl. C > qcb + D HOLD C, qcf(x2) + B or D for 377 damage or use his air target combo into cl. C > qcb + BD HOLD D, air b+B, qcf + A, dp + D HOLD D for 426 as a good corner combo. Saiki has a lot of good combo opportunities from both the mid-screen and in the corner. Saiki's moves can fit into a huge variety of situations, but he is still recommended for first position while battery's like Andy, Kyo, Yuri, Mai or things like Kensou can do a magnificent job in the battery position. Saiki's special moves aren't exactly safe here and as expressed said before, he really needs reliability on his zoning to smack his opponent around. The reason why he is lowered in this particular position is because he has no characters to back him up. This is going to happen to a lot of characters in this position save for about eight or nine others that may do well in this position (example. Shen and (Claw) Iori). Saiki special moves are going to require good timing so that he can keep himself safe (because he is unsafe after most of them anyhow). Saiki's A version Kiyoku has a very nice and beautiful hit box so PLEASE don't hesitate to use it when necessary. You can also keep yourself from getting anti-airs by using f.B in mid-air to stop yourself and put yourself on the ground. A nice tool for mix-ups, mind games, and valuable set-ups. While five stock meters are not particularly a bad idea for Saiki, he is still the last character - should you still intend to use HD combo's here is a good one for 963 damage... start off with his air target combo and then cl. C (HD) cl. C > (qcb + D~D, air b+B, dp + B, HDC, qcf + C)x2, qcb + D HOLD D, air b+B, dp + D (HDC) qcb + D HOLD D, air qcf(x2) B or D (MAX CANCEL) qcb hcf + AC for a nice finisher. Saiki is still recommended for first position. 31 0 108(18) - Freeze 90, 17 startup based on position? This page was last edited on 15 December 2014, at 20:33.